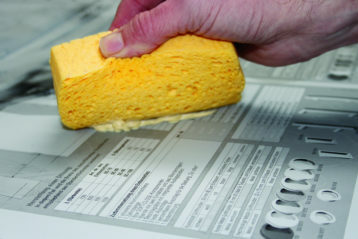 The Original for cleaning in the printing industry. The compressed pop-up sponge VISKOVITA is an internationally successful product in the printing industry. Its outstanding properties make it ideal for cleaning printing plates. Visually, it stands out because of the skin-like appearance on the surface edges. 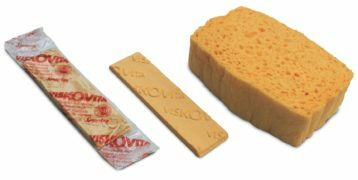 The reason for the excellent properties of VISKOVITA is the globally unique and patented manufacturing process of steam coagulation.